Finance for $590 per month at 3.99% APR for 72 months with $4,467 down payment. Payment expires on 04/30/19. Estimated Finance payment based upon 3.99% APR for 72 months, with a down payment of $4,467. Excludes title, taxes, registration, and license fees. Some customers will not qualify. See your authorized dealer for complete details on this and other offers. Residency restrictions may apply. Lease for $450/month for 36 months with $4,467 due at signing including $0 Security Deposit and 10,000 miles per year. Payment expires on 04/30/19. Estimated Lease payment based on 36 months and $4,467 due at lease signing. Cash due at signing includes $6,518 capitalization cost reduction, which includes $795 acquisition fee, plus a required security deposit of $0, and first month's lease payment of $450. Excludes title, taxes, registration, and license fees. Total monthly payments equal $22,705. Mileage charge of $0.25 per mile over 10,000 miles. Not all consumers will qualify. Residency restrictions may apply. Moonroof, Heated Seats, Navigation, Onboard Communications System, Keyless Start, Back-Up Camera, NAVIGATION PACKAGE, REAR SPOILER. IS 300 trim, EMINENT WHITE PEARL exterior and CHATEAU interior. EPA 30 MPG Hwy/21 MPG City! AND MORE! Sunroof, Back-Up Camera, Turbocharged, Onboard Communications System, Keyless Start. NAVIGATION PACKAGE Lexus Enform Destinations, destination assist and eDestination (1-year trial subscription included, requires Lexus enform safety connect), Lexus Enform App Suite (Subscription Free), destination search, Yelp, iHeartRadio, Facebook Places, Movietickets.com, OpenTable, Pandora, Slacker, stocks, fuel prices and sports, Lexus Insider, Radio: Lexus Display Audio w/Navigation System, AM/FM/in-dash CD, HD Radio (complimentary traffic and weather), 10.3" screen w/back button on remote touch interface controller, 8 speakers, 293-watts, digital signal processing w/Automatic Sound Levelizer (ASL), integrated SiriusXM satellite radio receiver (complimentary 90-day trial subscription included), Scout GPS link, iTunes tagging, MP3/WMA and dual USB/iPod audio input plugs, rear, PREMIUM PACKAGE Power Steering Column, Exterior Heated Mirrors w/Memory, 2 Position Memory, memory for driver and passenger seat, heated outer mirrors and steering column, Blind Spot Monitor w/Cross Traffic Alert, lane change assist, Heated & Ventilated Front Bucket Seats, Intermittent Wipers, WHEELS: 18" MESH ALLOY Tires: 225/40R18 Front & 255/35R18 Rear All-Season, INTUITIVE PARK ASSIST clearance and back sonar, REAR SPOILER, ACCESSORY PACKAGE 2 Cargo Net, Carpet Trunk Mat, Rear Bumper Applique, Key Gloves, Alloy Wheel Locks. Contact Lexus Santa Monica at (424) 229-9998 or online to learn more about this Lexus IS 300 for sale near Santa Monica. See this IS 300 at our lot! At Lexus Santa Monica in Santa Monica, we have the new and used vehicles you have been looking for! 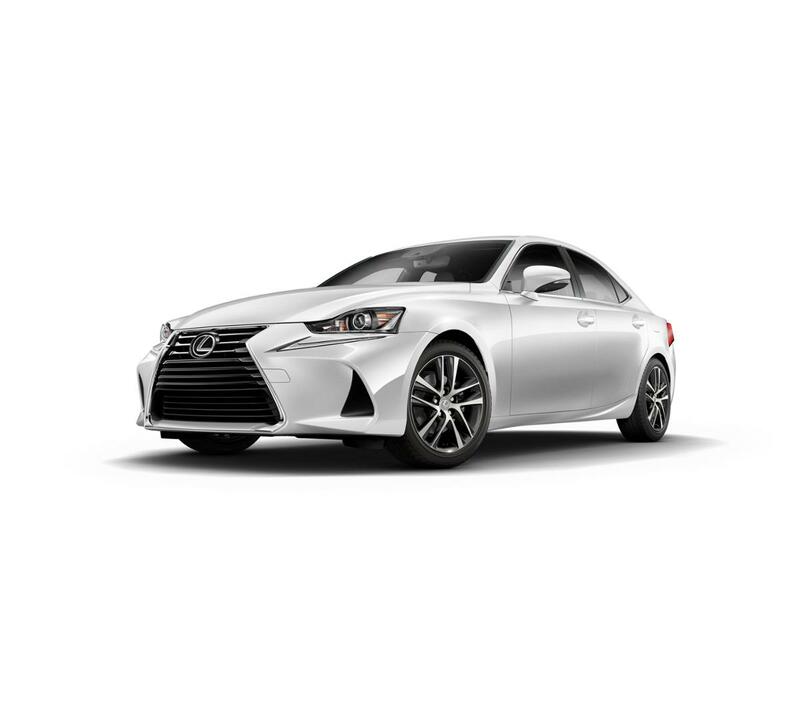 This Eminent White Pearl 2019 Lexus IS 300 , is available right now at your Santa Monica Lexus dealership. Call us at (424) 229-9998 if you have any questions about this Lexus or any of the other vehicles at our Santa Monica Lexus car dealership. Lexus Santa Monica offers this Lexus IS 300 for sale. All our new and used vehicles undergo an inspection to make sure they're of high quality and worthy of being offered at our dealership and this IS 300 is no exception. View all the details on this vehicle above and then come see it in person at our dealership and take it for a test drive. If it turns out this Lexus IS 300 isn't for you then we have many, many other vehicles to choose from. If you have any questions regarding this Lexus IS 300 or any other vehicle we offer for sale don't hesitate to contact us at (424) 229-9998.